The UK pharma group rejected Pfizer’s latest $117 bln approach, but indicated the U.S. suitor’s price was almost acceptable. Strong cancer trial data in June could protect Astra’s independence. Even if the target’s resistance weakens, Pfizer has boxed itself in until August. 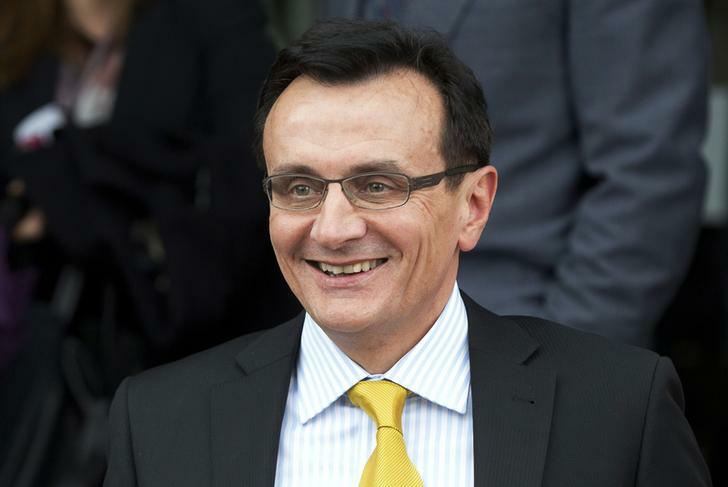 Chief Executive of AstraZeneca Pascal Soriot smiles as he leaves after appearing at a parliamentary business and enterprise committee hearing at Portcullis House in London May 13, 2014. AstraZeneca rejected a raised cash-and-shares takeover proposal from U.S. pharmaceutical rival Pfizer pitched at 55 pounds per share. The approach comprised 24.76 pounds per share in cash and 1.747 Pfizer shares for every AstraZeneca share held. “This proposal undervalues the Company and its attractive prospects,” AstraZeneca said. The UK group indicated that it would be prepared to recommend an offer worth at least 58.85 pounds a share.